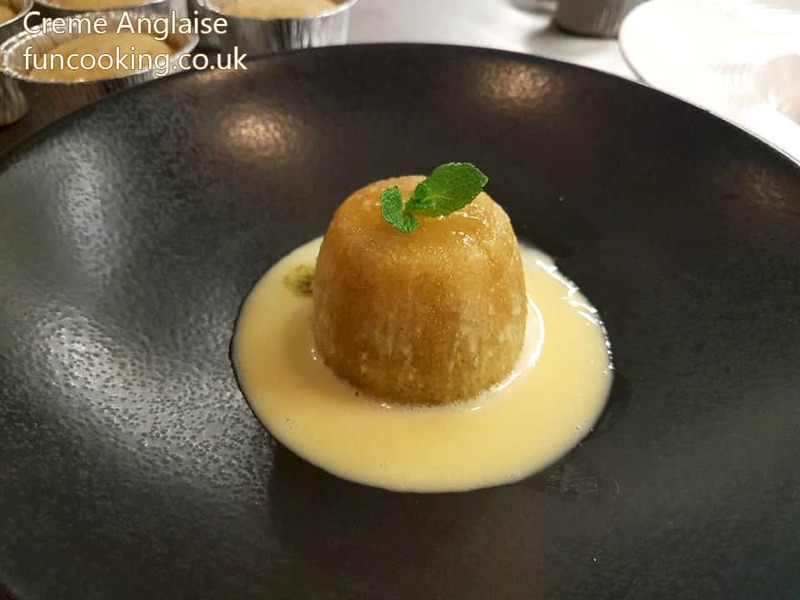 Crème anglaise (French for “English cream”) is a light pouring custard used as a dessert cream or sauce. It is a mix of sugar, egg yolks and hot milk, often flavored with vanilla. The main problem while making this is eggs scramble or you have lumps in finish product.There are some tips to make it perfect. Follow them and you will have the best custard. When you add sugar in eggs, mix it quickly. If you leave it, your finish custard will have lumps in it. 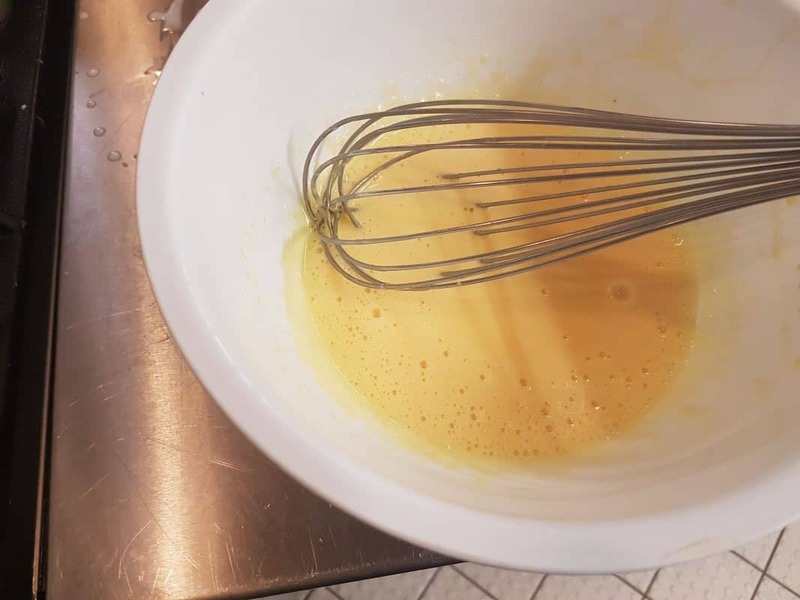 Put the half hot cream first in eggs+sugar mixture, mix well then pour in the remaining cream, mix and cook.This will your custard have no lumps at end. 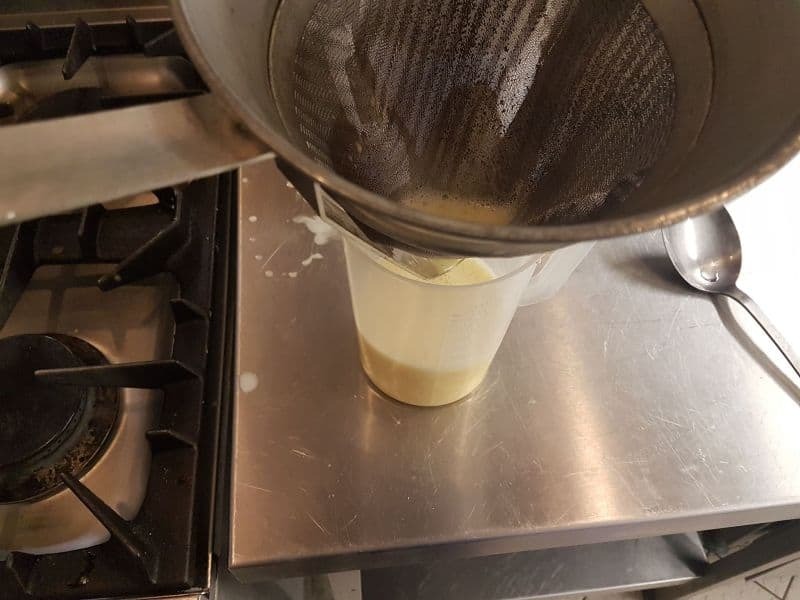 Cook on low heat until it reaches 82 C.
Prepare your sieve with a bowl or jug,as soon as it reaches 82 C, sieve it straight or it will become scramble eggs. 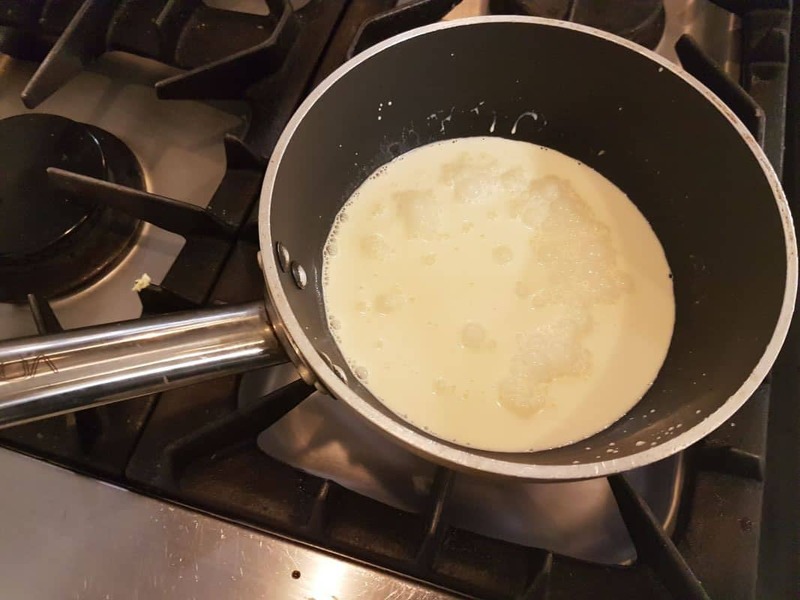 In a heavy based saucepan, bring the cream and vanilla pod to the simmer. 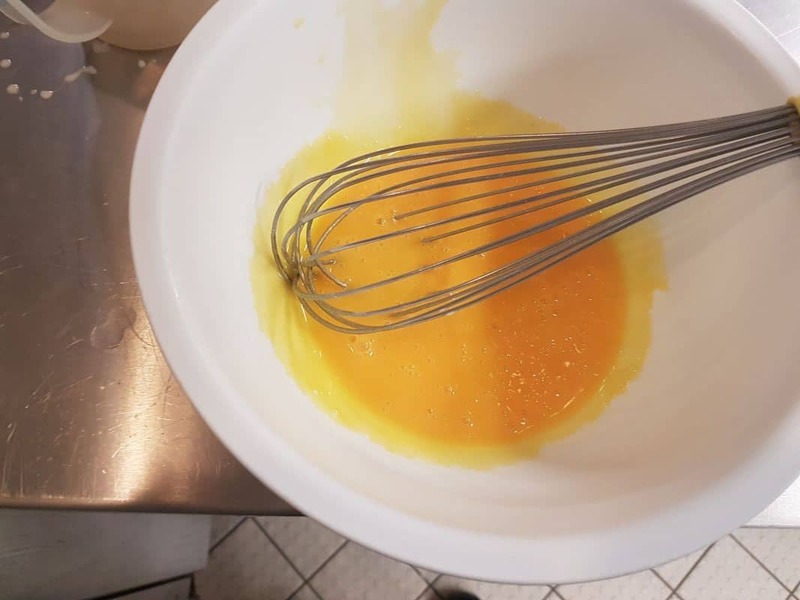 Meanwhile, in a mixing bowl, cream together the egg yolks and sugar. 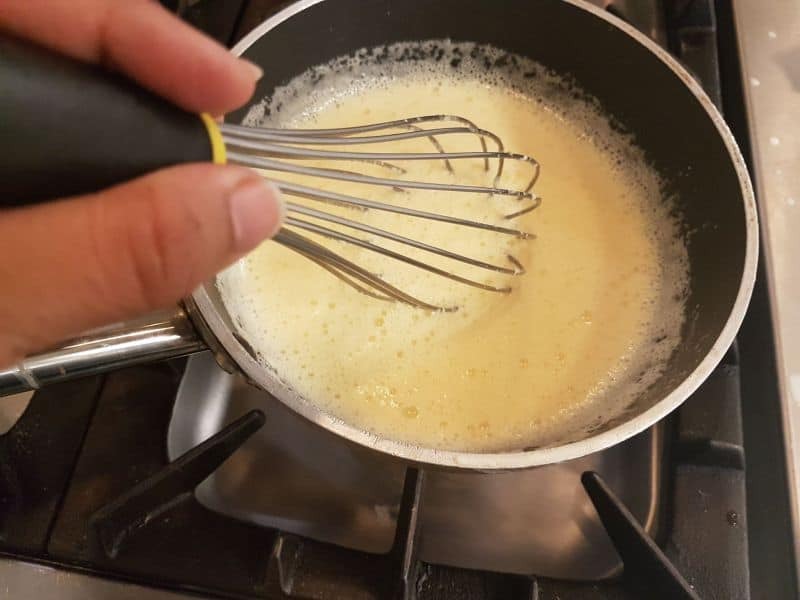 When the cream reaches to the simmering point, pour half of it to yolk+sugar mixture constantly whisking. Then pour in the remaining cream.Mix well. Pour the whole mixture back to pan and cook it, constantly mixing until the custard reaches to 82 C or slightly thick. Immediately remove from the heat and pass through a fine strainer. 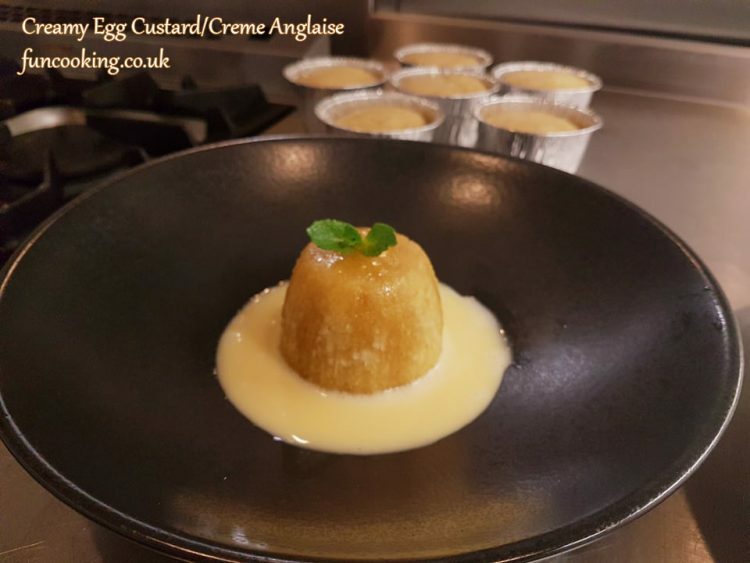 I served this creme anglaise with steamed sponge pudding, you can serve it with any of your favorite dessert.